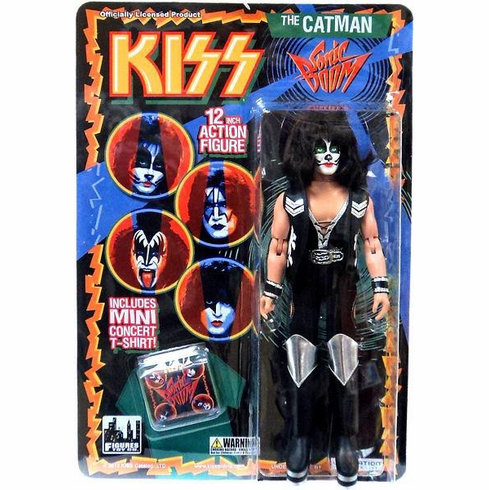 KISS Deluxe Sonic Boom The Catman Action Figure is 12" in height and is contained in retro-style resealable packaging. Comes with a mini concert T-Shirt. Please Note: Packaging has shelf wear.